My daughter went to the store yesterday and came home with this bouquet of flowers. I think they are astros, but I'm not totally sure. Nope, now astros! LOL! 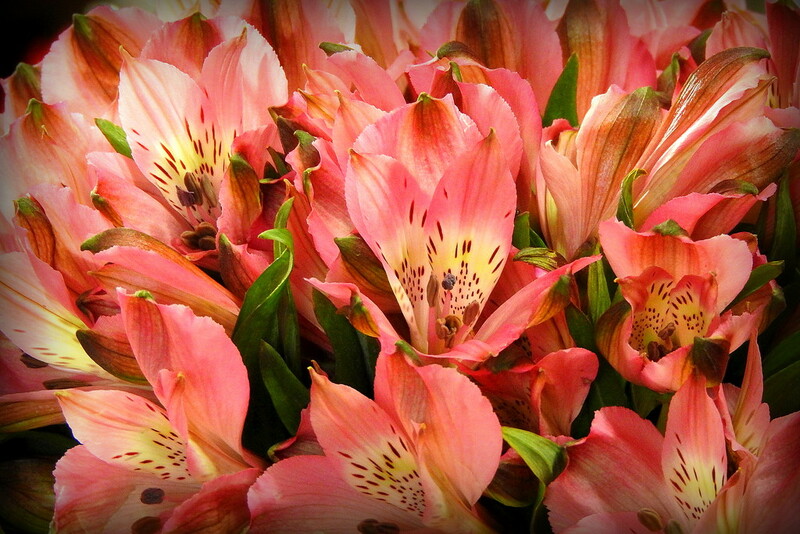 Pink Peruvian Lilies or alstromerias. I think they are alstroemerias, but I like "astros" better! Very pretty shot of the bouquet...so happy! @featherstone26 Haha! I think I missed the L in there! LOL! I googled them and it gave me the abbreviated name. I thought they looked like lilies. And it also called it a Peruvian Lily. Beautiful close up shot, Lisa. Lovely...I like that you filled the frame with these lovely flowers. They have a gorgeous pattern. Well you got the first half right anyway! What a beautiful bouquet.